In the ongoing “War on Christmas” the secularists have fired the first caffeinated shot against the Baby Jesus. Have you heard? Starbucks hates Christmas. The coffee giant has unveiled its new holiday cup seen above. No stars, reindeer, snowflakes or ornaments. Just a plain red cup. So clearly, they hate Christmas – and they hate Jesus. So says, Joshua Feuerstein in a Facebook post that has been viewed over 11 million times. His exact words, “Starbucks REMOVED CHRISTMAS from their cups because they hate Jesus…SO I PRANKED THEM…and they HATE IT!!! He’s not alone. 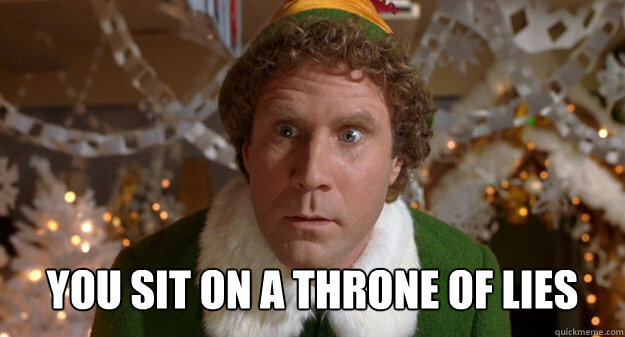 Raheem Kassan on breitbart.com says that those of us who indulge in a delicious drink from Starbucks out of a plain red cup are being “told/reminded that this time of the year is no longer about Christmas.” It’s almost like he could see me rolling my eyes because he ends his column with, “And no, ‘I’m not reading too much into it’. This is happening. And it’s as disgusting as an Eggnog Latte.” Well, he doesn’t need to drag eggnog into it. -I think this is one more sign that some Christians in the USA have a persecution complex. One Presidential candidate said “We are moving rapidly toward the criminalization of Christianity.” Really? Is there any movement to prevent us from worshipping Jesus? From following Him? From living like Him? From loving our enemies? From blessing those who insult us? Paul writes that the fruit of the Spirit, the evidence of living a Christian life is “Love, joy, peace, patience, kindness, goodness, faithfulness, gentleness, and self-control.” Then he ends with, “There is no law against these things.” No chance of these attitudes and actions being criminalized. I remember being taught in Youth Group to expect “persecution” for following Christ. I wonder if Christian culture has caused us to look at anything that doesn’t fit into our particular religious/moral/cultural box and see anti-Christian discrimination. -Is Christmas really defined by what is written or not written on a cup? Isn’t it a better celebration of Christ’s birth and a better recognition of Christ to actually live like Him? “Those who claim to belong to him must live just as Jesus did” (1 John 2:6). Putting a Christmas message on a cup doesn’t compare to living out the Christmas message. 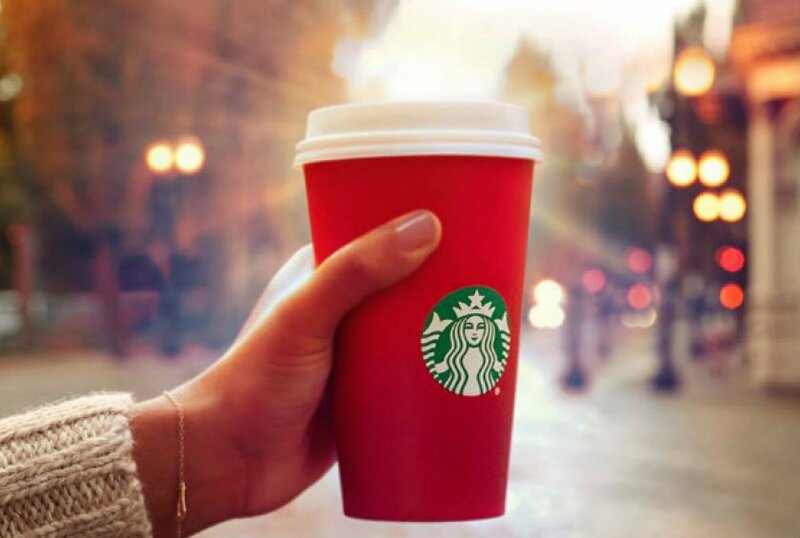 So, buy yourself a coffee in a plain red cup. Buy one for the person behind you. Buy one for the person at the intersection holding a “Homeless” sign. Do something “good” for others. In the classic To Kill a Mockingbird, Scout has a bad day at school with her teacher and asks her dad, Atticus, for permission to stay at home and not return to school. God climbing into our skin and walking around in it. God is not distant. God is not out of touch. God gets us. “We have a high priest who can feel it when we are weak and hurting. We have a high priest who has been tempted in every way, just as we are. But he did not sin.” Hebrews 4:15-16. Christmas is the celebration of a God who gets us. A God who walks in our shoes. Jesus knew what it was to have great friends. Jesus knew what it was to be betrayed by friends. Jesus knew what it was to be undervalued. Jesus knew what it was to be the center of attention. How different would the world be if we lived that way. A grocery store check-out clerk once wrote to advice-columnist Ann Landers to complain that she had seen people buy “luxury” items – like birthday cakes and bags of shrimp – with their food stamps. The writer went on to say that she thought all those people on welfare who treated themselves to such non-necessities were “lazy and wasteful.” A few weeks later Landers’ column was devoted entirely to people who had responded to the grocery clerk. The clerk should have followed Atticus’ advice. This Christmas, let’s celebrate the God who “gets us”. This Christmas and beyond, let’s live like Jesus.